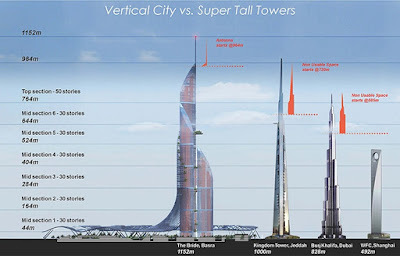 Mr. G's musings: Another tallest SKYSCRAPER proposed for: BASRA??? 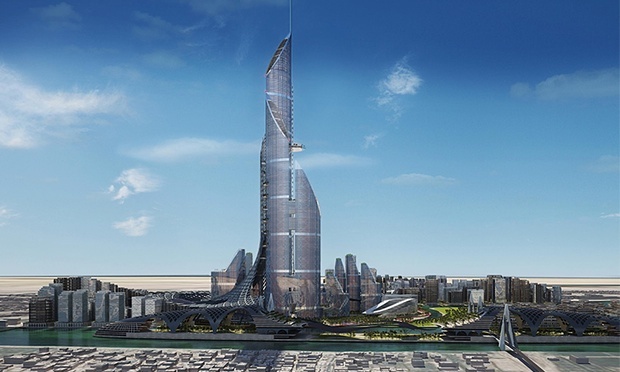 Another tallest SKYSCRAPER proposed for: BASRA??? This thing is monstrous. 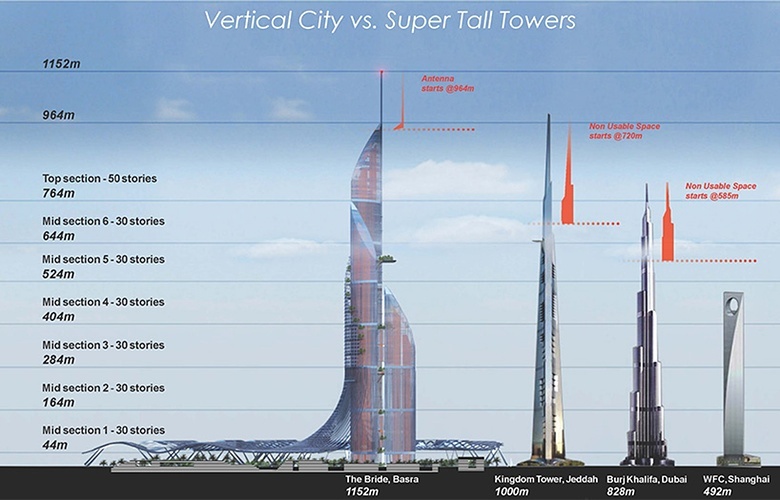 If it is ever built, it it would be the world's tallest skyscraper. Assuming that another tower isn't erected which is mightier than Saudi Arabia's Kingdom Tower in Jeddah when is currently under construction and if it is finished in 2019, will be the world's tallest building. The actual height of Kingdom Tower seems to be a moving target. But the illustration below projects the three tallest buildings in the world, assuming Kingdom Tower (under construction) and this, "The Bride of the Gulf" are completed.